Didier Van Hoye is an IT veteran with over 20 years of experience and accumulated hands-on expertise in ICT. He specializes mainly in Microsoft technologies (storage, virtualization, networking, cloud) to design and build highly available, high-performance solutions that scale both efficiently and effectively without breaking the budget. He works mainly as a subject matter expert advisor and infrastructure architect in Wintel & Hybrid Azure environments, often leveraging DELL EMC hardware to deliver exceptional value for the money. 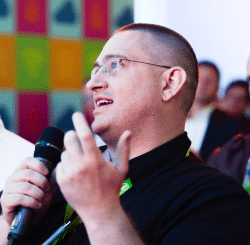 As a Microsoft MVP in Cloud and Datacenter, a member of the Microsoft Extended Experts Team in Belgium, a DELL TechCenter Rockstar and a Veeam Vanguard he contributes his experience and knowledge to the global community. He’s a trusted adviser, blogger, writer and public speaker on his areas of expertise.